我向AISA MILE網只CHECK到最近3個月航班, 請問如何可以CHECK到一年內合資格兌換航班呢?請問根據經驗, 選用英文HOTLINE, 什麼時間打電話較易接通呢? 謝謝! 布里斯班 (BNE)-開恩茲 (CNS),862 mi,開恩茲 (CNS)-HKG,3451mi,濟客艙25000? Do you think it works? Have I fully utilized the 30000 miles? 請問用10000 asiamiles 換以下機票的話，呢兩程係咪一定都要係CX 呢? 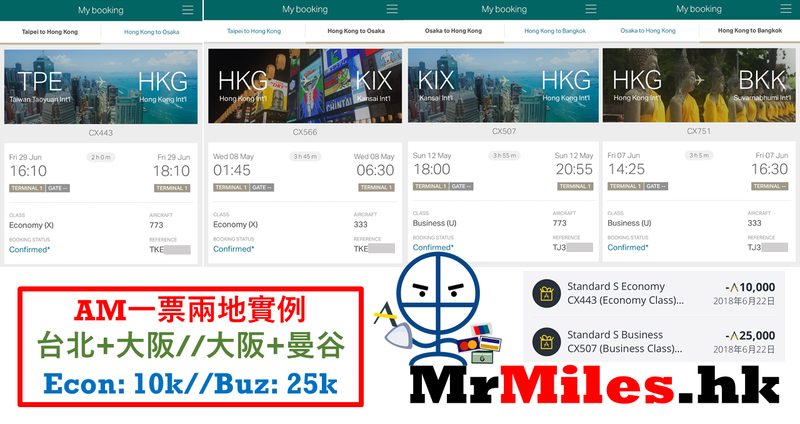 因為最近Check HKG – KIX 呢程CX 有，但KIX – TPE CX 就無，得JAL 有，請問一下咁樣混合得唔得，同埋係咪要用多左asiamiles? 謝謝! Is it right? Thanks for your advice. 呢個plan 可再加數個月後 HKG-KIX & KIX-HKG?? 如果坐特選經濟, 會有不同嗎? 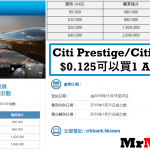 MEL-HKG, HKG-可以再去那一個地方只是30,000 AM嗎? 謝謝! 想問下可唔可以 10000里 出 香港-台北 台北-名古屋呀? if following ,is this okay ? Thank you ! 里先生, 其實燃油附加費是否只限香港出發的單程或來回票? 香港出發收燃油附加費可以理解, 但如果換單程 stopover 香港再飛其他地方, 燃油附加費點計? 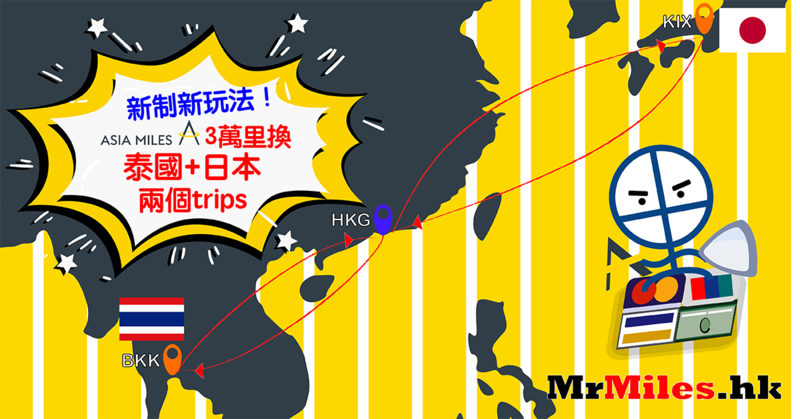 例如, AM10,000 換東京-香港(stopover)-台北, 是否只收香港-台北嗰程燃油附加費? 因為感覺上燃油附加費係香港民航處批准先可以收, 咁東京返香港嗰程唔係應該由日本主導D附加費咩? 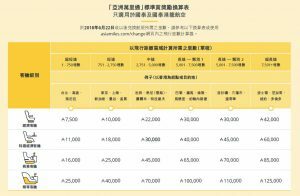 想問, 如果這樣出票之後不用, AM會不會收Cancellation Charge或Re-route Charge? (2) Must book them over the hotline? cannot book online on the AM website? how many miles will it cost me? should I take trip 1 and 3 by Avios? can I use 20,000 AM to redeem the following tickets? Can I redeem the flight like this through hotline? Your ticket is return flight. I redeemed stopover air tickets through the AM hotline last night. During the call I have provided credit card details for payment. I received the booking reference number and also an email from CX showing the itinerary. However, when I log in the CX website and go the “Manage booking” page just now, I found “Your redemption booking is confirmed” but then there is a button asking me to “Complete Payment”. I thought I have made the payment successfully during the call but not sure (I didn’t receive any SMS from that credit card/bank), What should I do (keep calling hotline but still no answer)? Thanks. Thanks Mr Miles, this is the first time I redeemed tickets through hotline. Yes finally received the etickets after more than 2 days (while I got the eticket instantly after confirming the payment for redeeming Avios). But the CS keep saying there is no seat available from Hong Kong to Osaka in the period of Mar and Apr 2019. How can I do? Please advise. If I book two trips using your 3 one way ticket method, can I still travel with CX during my stopover period? If I need to travel during my stopover period (in between 10/1/2019 to 3/6/2019) with CX, will this affect my stop over and my ticket from HKG > NGO? Understood, thanks for your reply! My concern is most tickets seem already full when I check online. I know I have to call to get the ticket for the 2nd trip. apart from choosing the English channel, any tip on how to reach the hotline people / make the call easier? 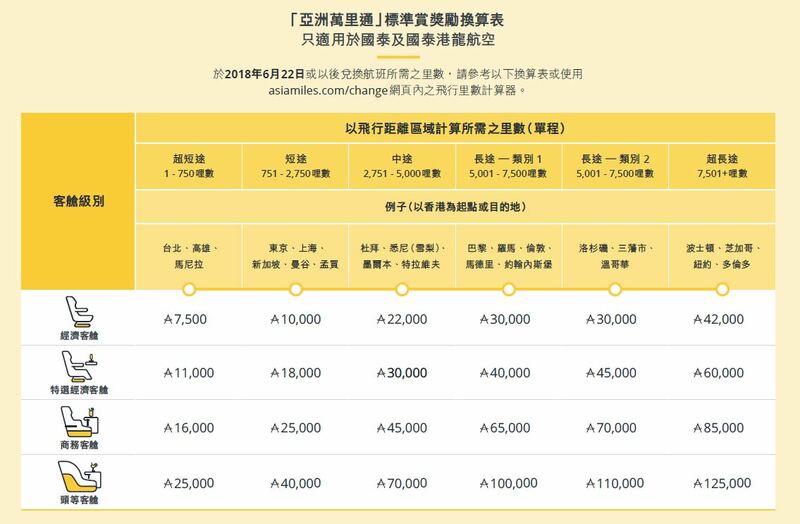 If I spend 25K for business class from HK to KIX, then from KIX to TPE, is it just count 25k , I don’t need spend 50K for round trip, right ? Is the below plan feasible? What is SXY? Any direct flight from HKG? 請問第二程最遲幾時要飛, 上述是否可行同要幾多AM ? 系米打英文熱線會易d打到同接聽, 通話時有無特別注意地方同技巧 ? 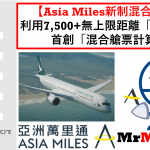 Please calculate in Asia miles website. What is the reason to be rejected? 暫時定左第一程seoul date & time, 但第二程 fuk date & time still not confirm,甘樣仲出吾出到票? 因2. CTS to Nrt 無國泰，唔係要用15000AM先換到咩? Thanks! 以上30000AM 可以出到3張one-way ticket 嗎? 是否在AM website填Flight Award Request Form先得? Should I redeem before 6/22 for 60K miles, or after 6/22 (is it the same amount of miles?)? Under current system, why the redemption miles aren’t 80,000 for business? CNS+KIX/FUK is less than 5,000.
what about this under new scheme? I want to know if I can first go TPE, then CTS (for 1 stopover)? 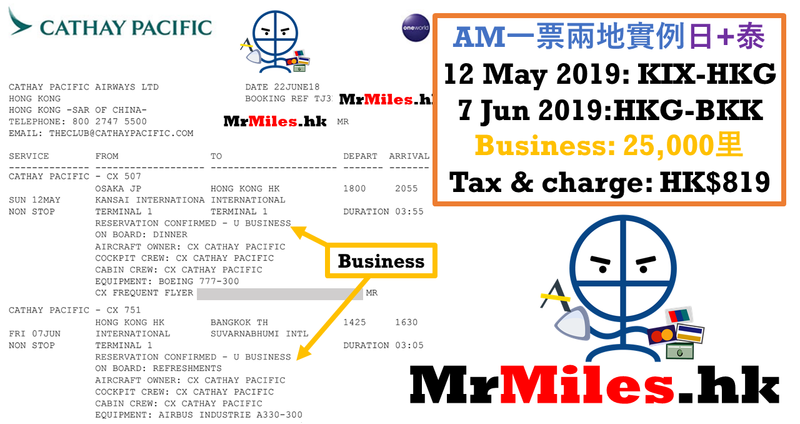 根據舊制，如果我 HKG – MEL – CNS – HKG 需要 45000里，轉行新制後HKG 去 MEL / CNS 都係44000里來回，但我係咪仲可以跟上面條route stopover CNS 咁樣? 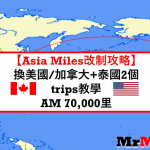 新制Asia Miles 去 東京,回程>札幌 各1萬,中間東京>札幌自己買機票..
你好，我現時只係有8萬幾里數, 預計6月頭就夠9萬換二人去MEL+CNS, 但擔心6月尾改制就會換唔切2個stopovers+1 open-jaw, 請問如果以FORM申請的話通常要幾耐時間先出到飛? Thanks so much for teaching us this! I just quit my job and planning to go Australia about 3 weeks. I want to meet my fd in Tasmania on 23/6/2018, and then go Melbourne and Sdyney (or can go Sdy before Mel). I guess I can use 45k Asia Miles and use stopovers to stay in these places? However, I checked that round ticket from HKG to HBA needs 65k miles. And how can I find the distance between stopovers? 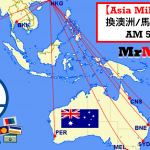 1) Can the above work with 45k Asia Mile? If Plan 1 exceed 45k AM, can plan 2 works for 45k AM? Thanks for pointing out this, Mr. Miles! Can we use open jaw in stopovers? Can the below revised work for 45k AM? If above can’t work, can I use 60k miles to travel Aus and NZ? Hello! 如何行程想係瑞士> London> 荷蘭，點換比較好? 謝謝! 以上可以用60,000換嗎? 尾段可否改歐洲其它城市 (未知那一個有位)? 另如果唔得, 前2段改為HKG-TPE來回可以嗎? 因為短途一定要放前段. 謝謝! 問題三: 因擔心訂不到曼谷航空班次,所以亦考慮第二方案, 在CMB transit去BKK, 班次比較多,但在BA 每段航程check, 發現CMB的機場税好貴?是否真的這樣? 想問下「Asia Miles換澳洲/馬爾代夫+台灣或東南亞 (45000 Econ/80000 Business)」，去澳洲唔係要60000AM咩？ 我見個表冇45000…. 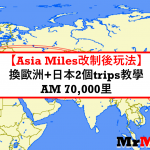 Can I use Asia Miles 30,000 for the following routes ? 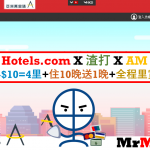 你條route理論上成立, 但你有無計過要幾多Asia Miles同埋中間係咪有CX/CX partner嘅飛機? 如果你夠3間oneworld航空公司可以11萬里出到….你夠嗎? 但係有d 唔明, 就咁睇有3 個 stopover 即係多過 Asia Miles allow 既兩次 stopover, 冇問題架咩? system 計到但最終換唔到, 除非, Stopover 3 唔要改做 open-jaw, right? =7500-5995 = 1505 (i still can change 1 more ticket , with return 752 miles each trip)? 如果香港-mel 來回, 仲有無多里數變多一個short round trip? i will transfer my question to Facebook, thanks for your help Mr miles. Is this considered “One-Way”? And if One-Way how should the distance be calculated? (i.e. 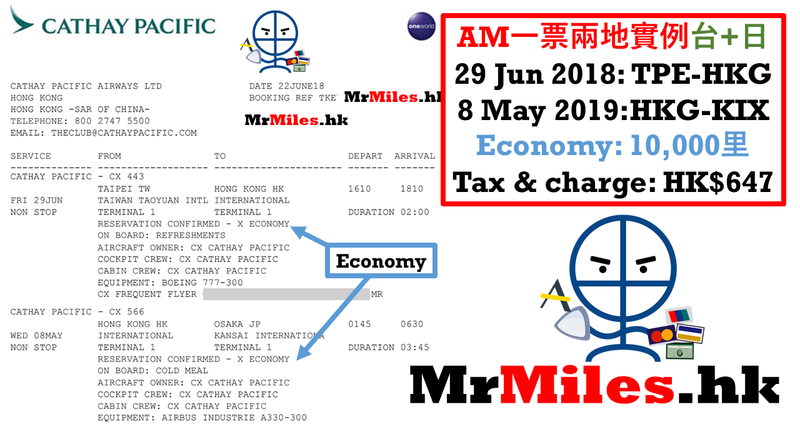 1805+1088 = 2893 distance miles / Zone C One-Way Economy 25,000 Asiamiles) or (based on HND-CJU direct distance of 767 miles / Zone A One-Way Economy 15,000 Asiamiles)? Or is this considered a “Return” trip (like HKG-CJU-HKG based on 1088 distance miles / Zone B Return Economy 20,000 Asiamiles? I need to start the journey from HND/NRT to HKG. If above proposed itinerary does not match the rules, how can I change to match Asiamiles’ rules? 我想問如果釜山來回，台北入, 台中出, 是否可以30,000 miles ECON出飛? Can I use 60000 to redeem two Australia trip like this? Mr. Miles, thanks for the information you provided to us. So, can I plan a trip like this by using 60000 AM.? I think it is my example above? In your experience, how to use 2 stopover, 2 transit and 1 open jaw is the best one? Please suggest the best itinerary! Thanks a lot. If best itinerary is to utilise the distance, the example shown a lots of them. KIX+Taiwan one is good! Hello里先生, sorry唔係好識計里數, 請問以下combination ok ma? I think this itinerary needs 45000 asia miles because it exceeds 2500英哩. Is it correct Mr. Miles? No, it could be issued with 30000 Asia miles. 里先生, 我已經訂左聖誕大板來回, 現在重友加得到台灣 TRIP 上去嗎 ? 30000 AM? Any things I need to be aware of? 以上哩個安排做到嗎? 我有60000哩, BKK個程可做到pre. econ嗎? 定一話住程只可做econ? 多謝里先生的回覆呀!! !